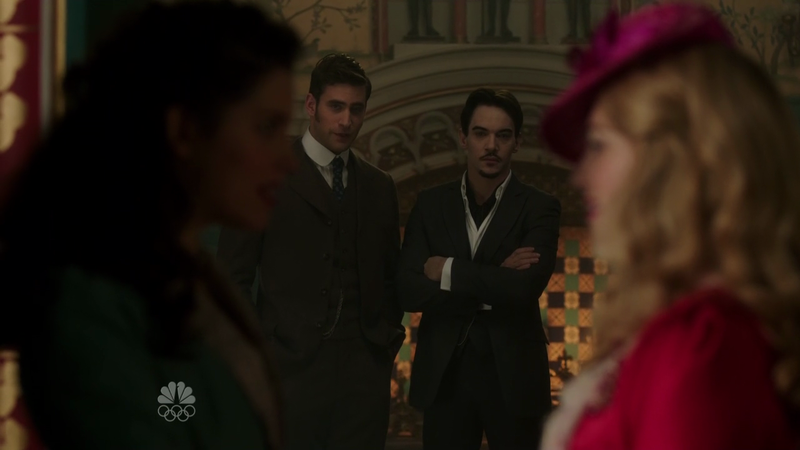 Dracula “From Darkness to Light” Review: Wherefore Art Thou Not Cancelled Yet? Four episodes into this show, its ridiculousness continues to amaze me, because I know this version of Dracula is the worst –believe me, that is the nicest word- and still, I can´t help but watch it every week. As if some part of me was expecting it to improve, but NO. 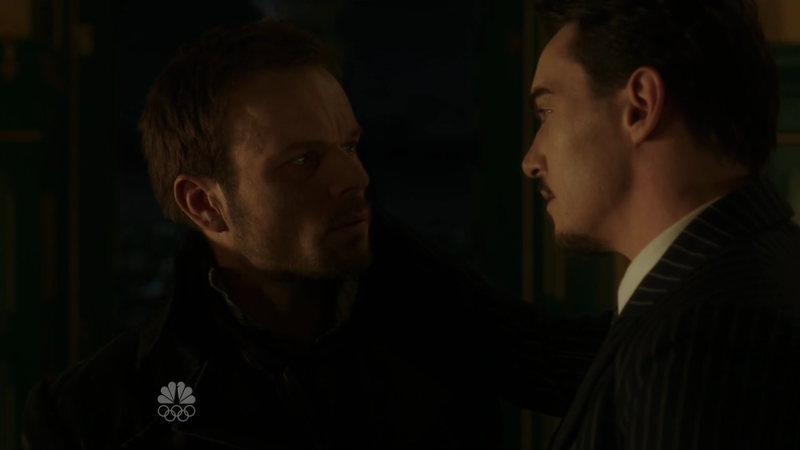 This is NBC we´re talking about, and NBC doesn’t want to talk about those supernatural creatures that are so trendy right now, they want to talk about the Wall Street and Enron, yay! In this week’s journey to madness, Grayson received a visit from his “son” Cervenka, who was apparently in some kind of teenage stage of vampirism (not doing what his dad told him, killing kitchen staff and whatnot). At the same time, Mina and Jonathan were on a really boring storyline about planning their engagement party, which connected with the even more tedious storyline of Lucy being in love with Mina but not telling her at all. But as in every episode so far, the interesting stuff only happened during Jayne’s scenes, undoubtedly the most interesting and yet the most stupid character in this show. She has been banging a vampire and she still hasn´t realized that his heart doesn´t beat! But I won’t complain, because at least she’s creating the only vampire-driven storylines of this show that, erm, it’s called Dracula, guys. Just in case you were wondering what it was about. Because, Dracula producers, if you give that name to a show, people expect some vampire action. Like, Game of Thrones is about people fighting for a throne, How I Met Your Mother is about a man telling that story to his kids, Breaking Bad was about a nice guy who broke bad, etc. You get my point, NBC. And back to the overwhelming plot, Grayson basically spent the whole episode teasing Jayne and acting as if he didn’t care about her, only to send Cervenka to kill her, which surprised me. But oh, Dracula, you fooled me! He showed up just in time to save her from the vampire, making her totally fall for him like a schoolgirl. Of course, in order to achieve that, he KILLED HIS OWN SON. HIS. OWN. SON. And then he said that Cervenka would have been okay with that major backstabbing because he was a soldier. Yup. Well, you should have asked him first, am I right? And in another B-plot, Lord Davenport (whose son killed committed suicide last week) hired Mary Poppins as a spy to find out how to hurt Grayson, and they ended up kidnapping Renfield. 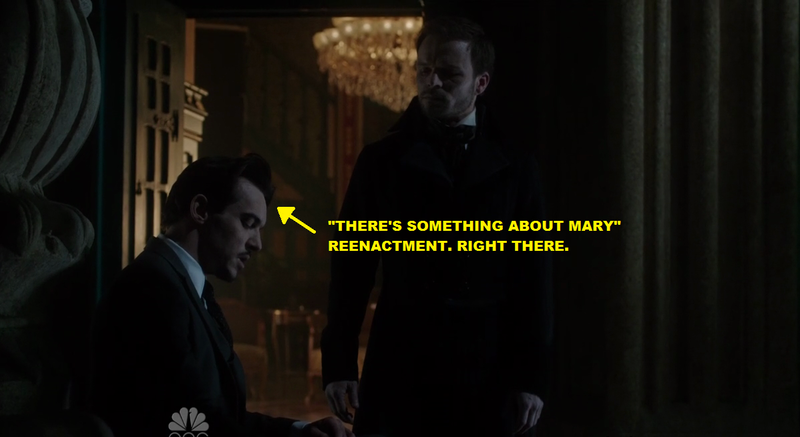 Oh man, first you leave Lady Edith at the altar, and now you abduct a man the size of a bear in the middle of the day? Good planning. I am waiting for the inevitable news that Dracula gets cancelled, which would be a shame, because everybody needs guilty pleasures. But it won’t take me by surprise. Unless it suddenly gets awesome and it becomes all about vampires. Who am I kidding? It’s all about petroleum and the stock market, people! 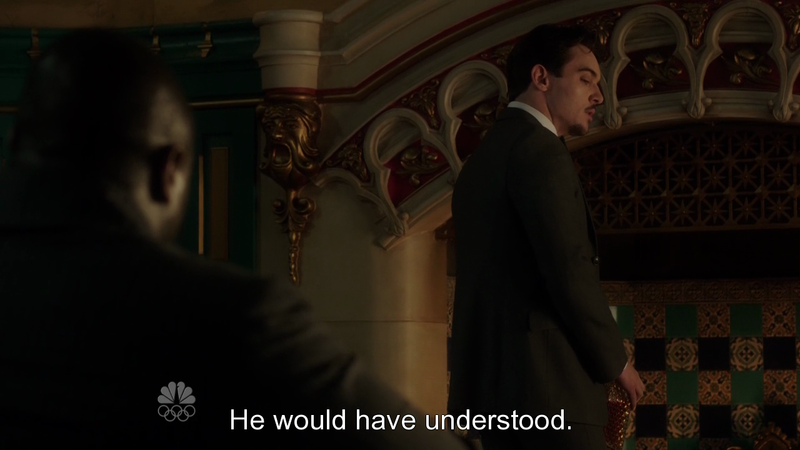 – Is it possible that I just realized that Jonathan Rhys Meyers is not that good of an actor? I had always thought he was good! Maybe it’s because he is so focused on his fake American accent that he can’t do anything else. – The best way to watch this show is with a drinking game: take a shot of tequila every time someone says a) oil b) energy. You’ll be wasted in less than ten minutes. – Another big concern for Grayson was his obsession with day-walking. Somewhere in Mystic Falls, a lot of vamps are laughing in his face. – Oh, Grayson showed Mina his geomagnetic technology. Because that’s what turns the ladies on, of course. – Jonathan Rhys Meyer’s hair. What’s up with that? Seriously, what?